Boeing has started production of its next new airplane, the 777X, scheduled to fly in 2019 and enter service in 2020. An executive on Monday called it “a change in the history of how we manufacture” — but the change is proving difficult. Deep inside Boeing’s Everett widebody-jet manufacturing complex Monday afternoon, about 300 workers looked on as an orange-and-blue robot lowered its drilling end over a long, U-shaped beam of carbon fiber composite, drilled a hole, then inserted a fastener with a soft drumming rat-ta-tat. With that, Boeing began building the first 777X flight test airplane, destined to fly early in 2019. This change is proving difficult. Production of the current model 777 in Everett, which has been radically transformed and automated to accommodate the new 777X version, has run into trouble recently, a Boeing spokeswoman acknowledged in an interview Monday. Still, the day’s milestone attests that the 777X project, central to the future of jet-making in this region, is moving forward. To win the 777X for Everett, Washington state agreed to shell out $8.7 billion in tax breaks over 16 years, and the Machinists — after a bitter struggle in the winter of 2013 — had to sign a long-term labor contract that froze their traditional pensions. In return for those tax incentives and the labor concessions, the state won the building of a giant plane. The first 777-9X model is nearly 252 feet long, seating 400 to 425 passengers. 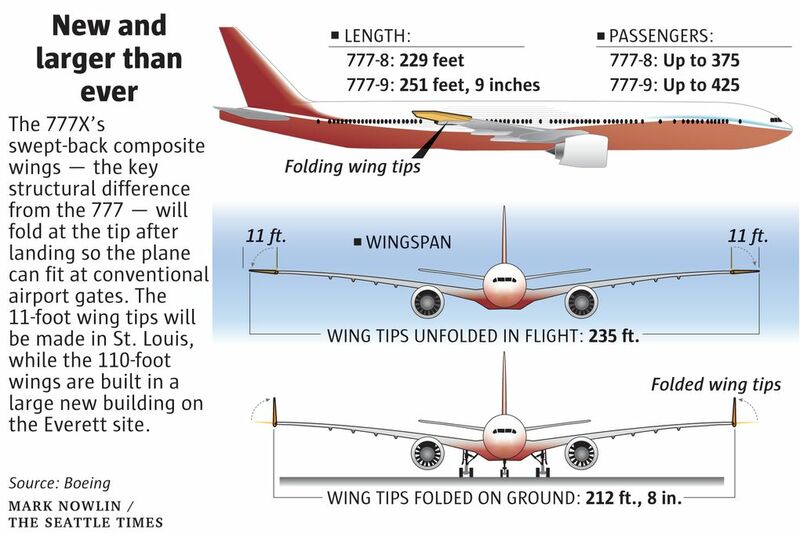 With a wingspan of 235 feet, it’s so wide the wingtips are designed to fold upward so it will fit at an airport gate. The plane, with a metal fuselage and carbon composite plastic wings and tail, will be assembled in the main Everett plant. 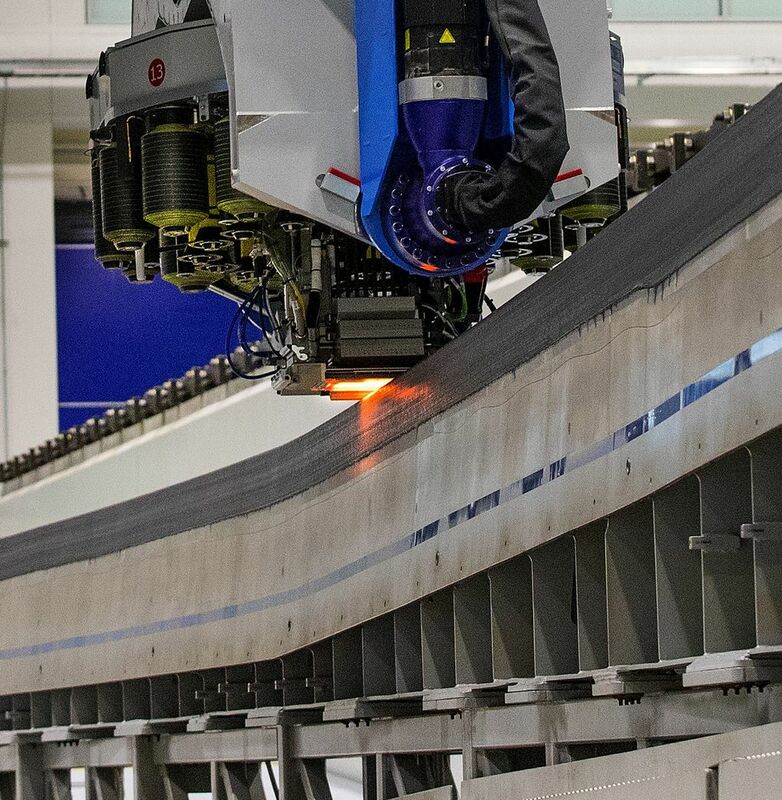 The 777X’s immense composite wings — a scaled-up version of the thin, flexing and air-scything wings on the 787 Dreamliner — are now being fabricated from carbon tape in a giant adjacent building, into which Boeing has poured more than $2 billion of investment in robotic technology. What happened Monday was the beginning of the first wing that will fly. On any Boeing jet, the long spars that are the front and rear structural beams of the wings are the first parts to be built. While each of the 787’s spars, fabricated in Japan, is made in three pieces, Boeing has designed the 777X with the longest single-piece spars ever developed, more than 100 feet long. The spar for the right wing of the first flight-test plane, its first fastener installed before the assembled crowd in the spar assembly shop Monday, will now move down a very automated assembly line and have multiple fittings and pieces attached to it. Ribs, brackets, posts and sundry fittings will be fastened on for later attachment of wing systems such as fuel systems and landing-gear parts. The front and rear trailing edges of the wings will also be fastened to the spars before they go over to the main building for wing assembly. Today, about 170 people work in the spar assembly shop, a figure that Boeing said should rise to about 250 at full rate. Meanwhile, in the new wing-fabrication center Monday, an automated fiber-placement machine designed and built by Electroimpact of Mukilteo moved along a spar mold, its heated application tip glowing orange as it put down plies of half-inch-wide carbon fiber tape to begin making a spar for the left wing of the same flight test plane. It takes almost 400 miles of the black tape to make the four spars for every pair of 777X wings. For all the awesome, and expensive, manufacturing technology, the 777X faces challenges in both sales and production. Orders for the 777X have been slow over the last few years as the industry has faced a widebody-jet glut. President Donald Trump on Monday touted a Singapore Airlines’ order for 20 of the jets. But that order had already been announced in February, and when Boeing booked it as firm in June, it was the first new 777X order in two years. There are production worries too, because of recent instability in building the current model 777. Several people working on the 777 line said that this has led to a slowdown in the work and overall production on the 777 program is currently as much as 12,000 tasks behind. 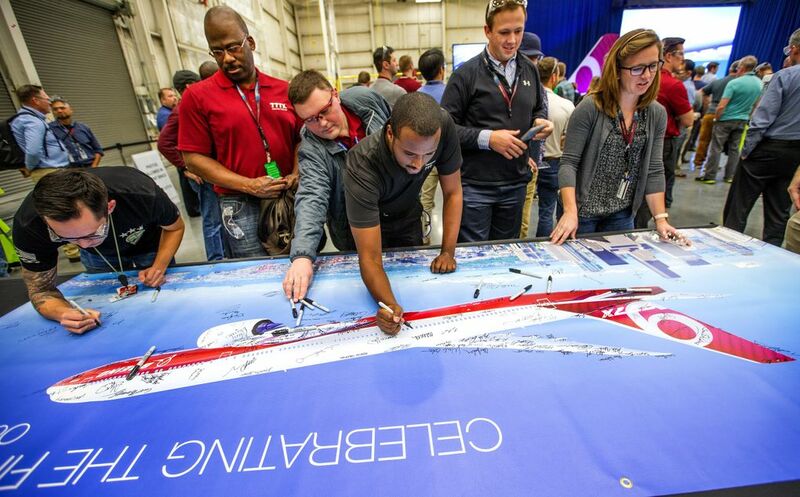 Last week, Boeing began asking some retirees to return to work on all its airplane programs to help with a work crunch and a shortage of experienced people. On the 777, it’s specifically looking for help with wing assembly. 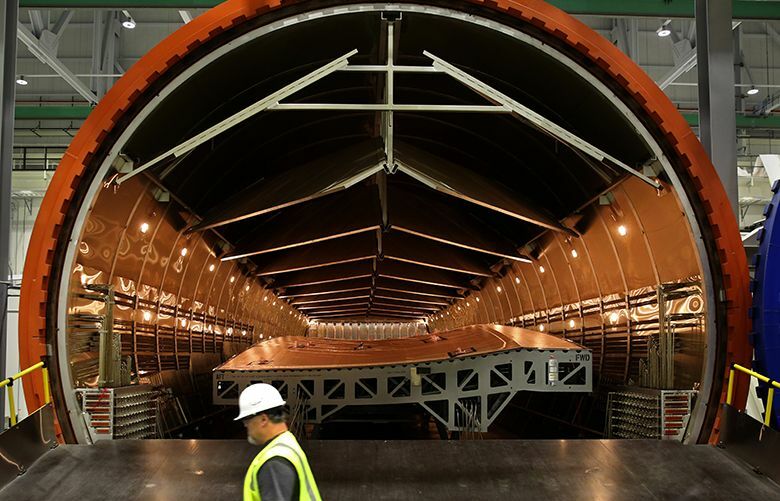 This summer, the new robotic way of building the 777 fuselages — known as the new Fuselage Automated Upright Build or FAUB — which had been problematic when introduced, ran into more trouble, according to two people familiar with what went wrong. On three aircraft, the seals of the joins in the FAUB fuselage sections were found to be not properly cured. Engineers required that the sections be taken apart and rebuilt. Boeing spokeswoman Karen Crabtree conceded that this happened but said it has since been addressed and fixed. 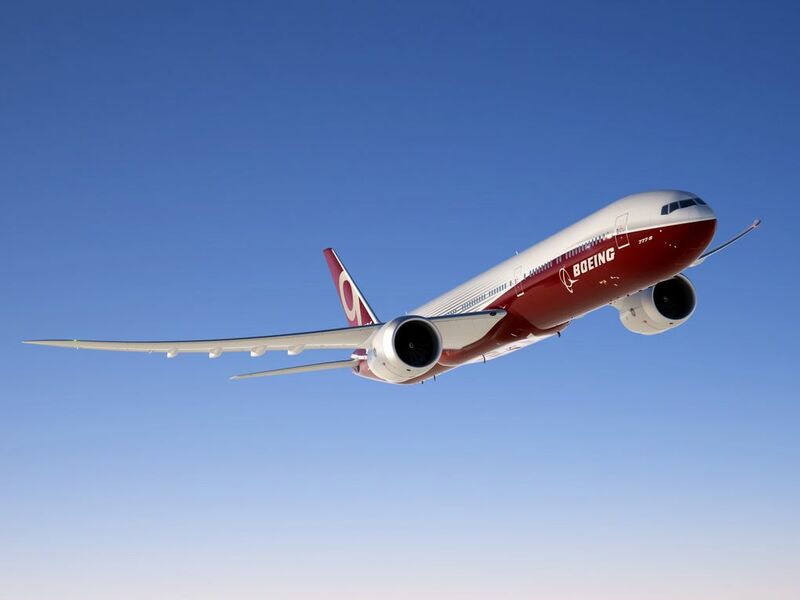 She said employees “will get some additional days to work out of position and stabilize the work in process” and that as a result, jet deliveries will not be delayed and Boeing will be ready for 777X production. 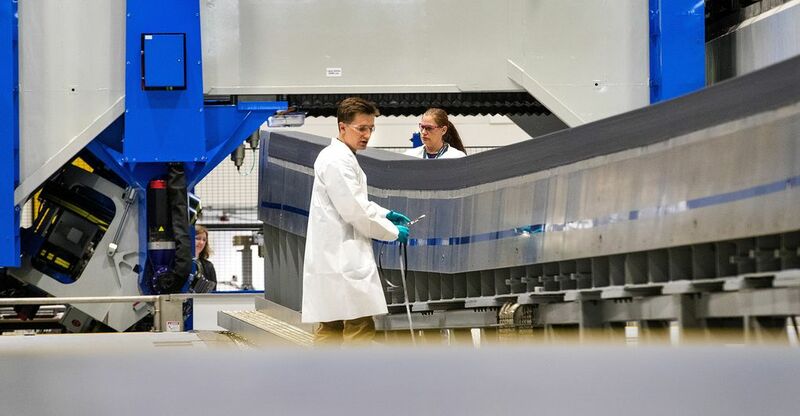 “The things we’ve learned off FAUB, that have taken some time to work out, we’ve made design changes and changes to the production system and incorporated those into 777X,” Beezhold said. Boeing will roll out that first flight test plane next year and fly it in the first quarter of 2019, with first delivery scheduled for early 2020. By then, it hopes to have signed further sales and to have ironed out all the new technology problems.